We recently spent the afternoon at Taj Louisville, one of our very favorite spots in Louisville, Kentucky’s East Market District, also known as NuLu. Recognized for its impressive local Bourbon collection and unique décor, bursting with various antiques and relics, Taj has become an all-welcoming, neighborhood hangout. 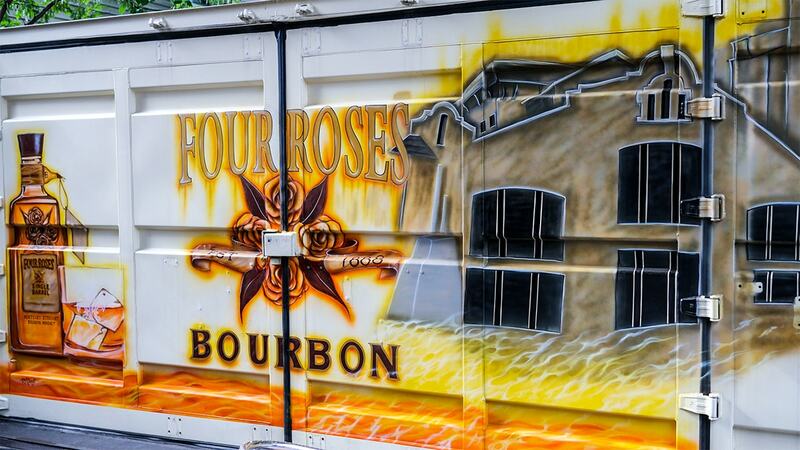 Most importantly, in our opinion, is the outdoor patio space and Four Roses bar, complete with a hand-painted mural by local artist Ray Jarrell, showcasing our distillery and Bourbon. 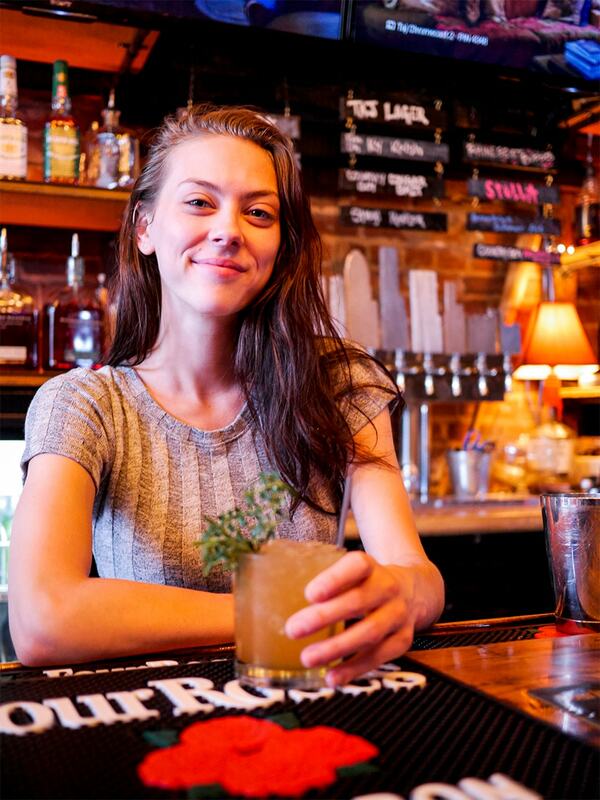 We sat down with bartender Cassandra Mastropaolo to try her “Four Summer” cocktail, the perfect sweet summer refresher. The cocktail will be available on the menu throughout the summer, so we encourage you to make a trip to Taj to sip and say hello. In the meantime, #HandcraftTheMoment and make your own with the recipe below. Combine bourbon, honey syrup, bitters and lemonade. Shake and strain over ice. 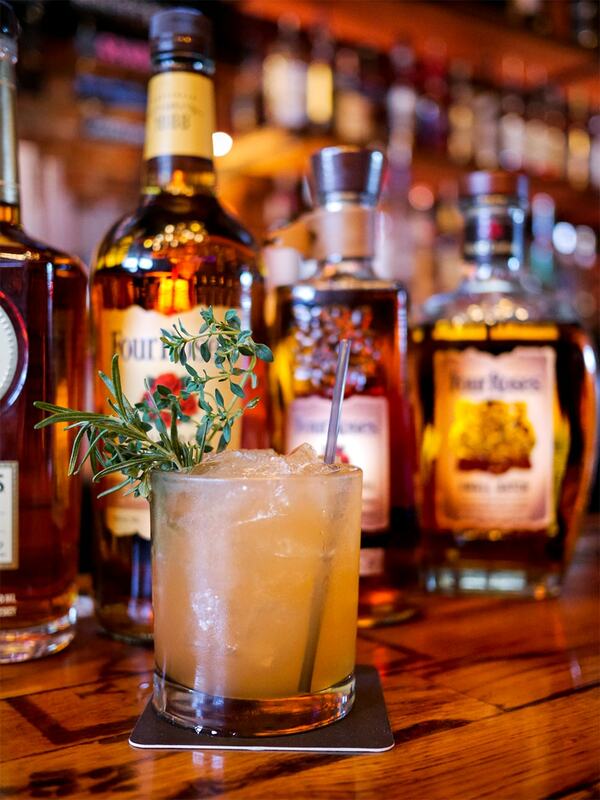 Garnish with rosemary and lemon thyme.